A new group of 25 whale sharks (Rhincodon typus) has been spotted feeding on concentrations of krill off Ningaloo coast in Western Australia’s North-West. 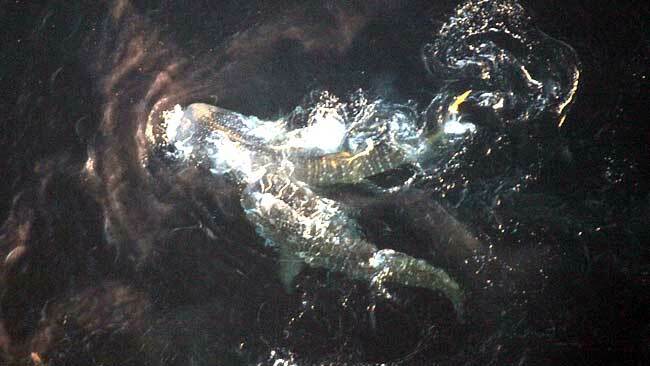 The large aggregation of whale sharks is the biggest on record for this region. The sharks were spotted by recreational boater Luke Ryan earlier this month. Whale sharks are a threatened species, so seeing such naturally large groups is great news for local shark population health. Whale sharks are the largest extant fish species in the world and are strictly filter feeders. Whale sharks can often be seen feeding in surface waters where food items such as plankton, macro-algae and krill often accumulate. Displaying high space use of surface waters, whale sharks are prone to boat strikes, and boat owners in the Ningaloo area have been warned about the large group. The DEC asks that recreational and commercial boat operators watch their speed around the Muiron Islands Marine Management Area and maintain a good lookout at all times, reporting any sightings that they do come across. Lets hope that illegal fishermen don’t get hold of this news and go after their fins. Such a healthy population of whale sharks could generate large amounts of tourism. This tourism would have to be tightly regulated and managed to minimise the disturbance to these impressive sharks. Ecotourism can be great for local communities and a shark is worth more alive than it is dead but well managed ecotourism of sharks something that is often over looked. 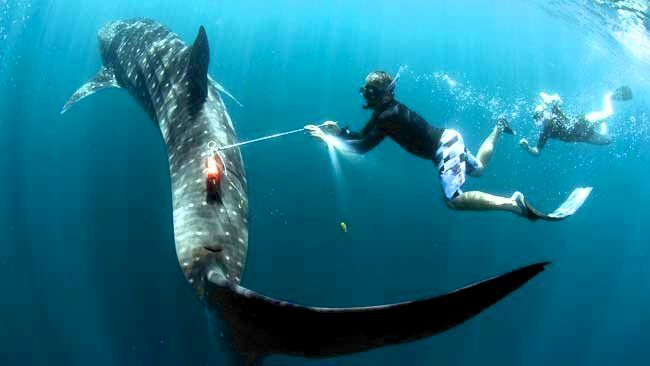 Earlier this month there was outrage at the tourism operators in the Philippines that offered paying customers a change to touch and ride large whale sharks they had restrained with tail ropes BBC Article.